We all know that access to clean water is a basic human right. Safe drinking water is highly important for your body to remain healthy. People often underestimate how deadly impure water can actually be. According to the World Health Organisation*, close to 1.8 million people die every year from diarrhoeal diseases such as cholera. Improving the quality of drinking water and making it safe and healthy can reduce diarrhoea episodes by between 35% and 39%. Drinking water directly from a tap can be quite harmful. Often water pipes are old and corroded, reducing water quality. Additionally, chemical, physical and microbiological impurities from the source of water make it even more unsafe for you and your loved ones. During earlier times, boiling your water made it safe enough to consume. Many germs and bacteria were eliminated and the water was considered relatively clean. However, just boiling your water is no longer enough. Water types these days include several new age contaminants such as pesticides and dangerous chemicals that cannot be eliminated even by boiling water for over 20 minutes. Purifying your drinking water using the right technology is absolutely imperative. 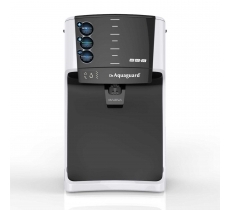 And water purifiers from Eureka Forbes provide customised water solutions. UV water purifiers are ideal for water sourced from municipal corporations. 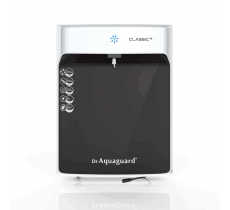 These purifiers make your water crystal clear, eliminating disease causing bacteria and viruses. RO water purifiers are perfect for tanker or borewell water that have high levels of TDS. They remove all the excess salts and minerals that give your water a salty or khara taste, making it safe to drink for your entire household. Water purifiers that use a mixture of both these technologies are ideal for homes that have water from a variety of water sources. Another benefit of purifiers from Eureka Forbes is that the unique Mineral Guard Technology and Biotron Cartridge retains all the minerals and nutrients that are beneficial for your health. This makes your drinking water not just safe but healthy as well. Dehydration can cause a number of illnesses. Drinking water regularly and staying hydrated can mean a number of benefits – from keeping your body temperature normal to protecting your spinal cord and tissues. To stay healthy and fit, it’s important to keep drinking safe water. Make sure you and your loved ones always have access to pure water and maintain their health as well. If you’re not sure about which purification technology is apt for your needs, use the Water Doctor App. Additionally, you can reach out to our water experts for a home demo as well.